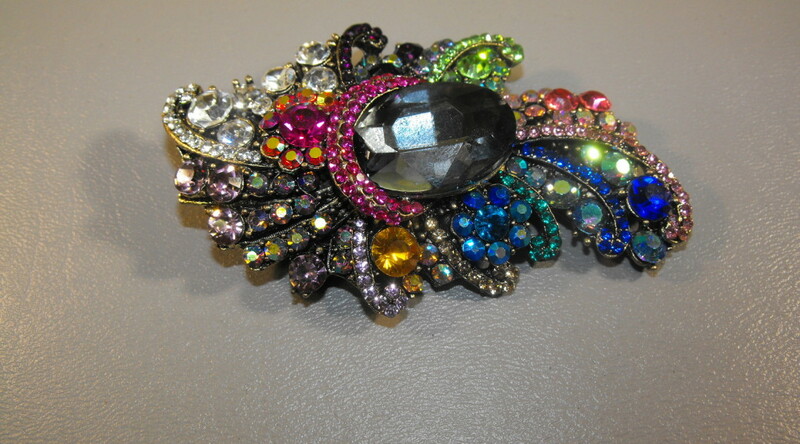 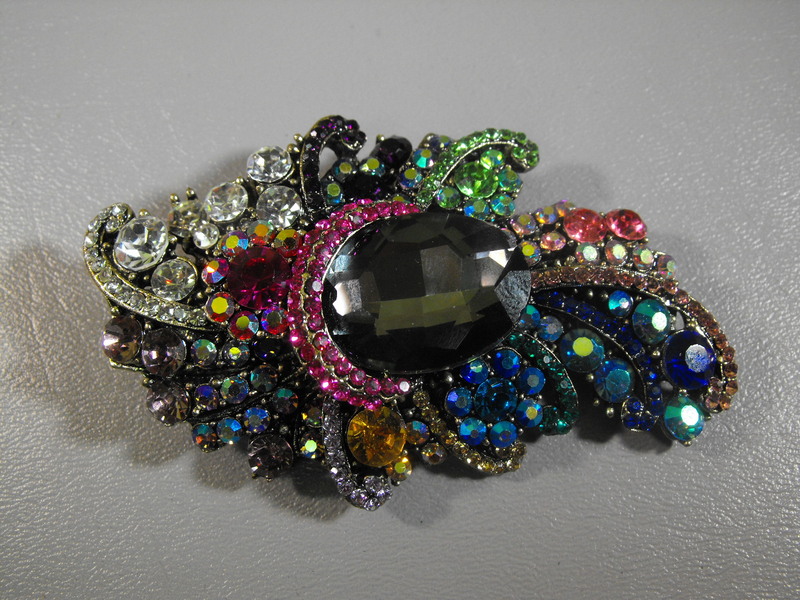 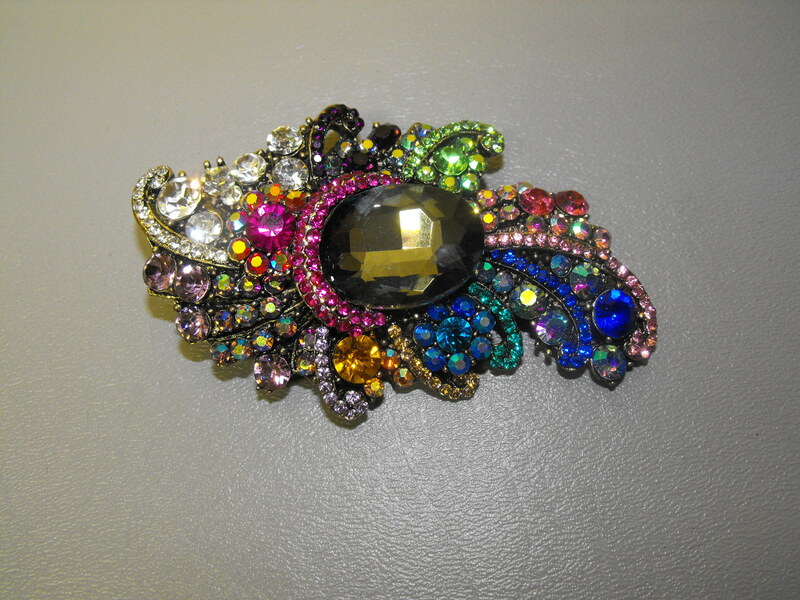 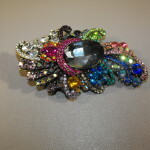 Cobalt Blue, Pink, Red, Black, White Rhinestones in this Victorian inspired new combo brooch/pendant. 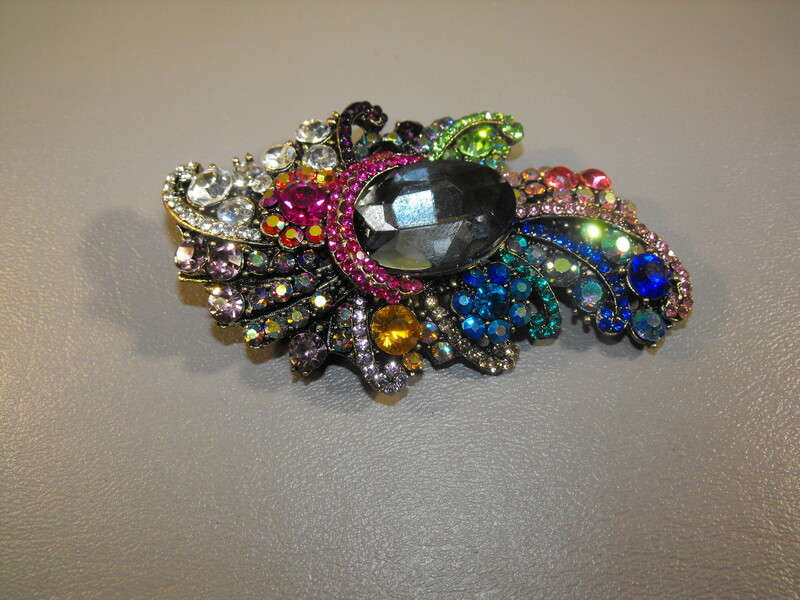 The colors are deep and vibrant with lots and lots of sparkle. 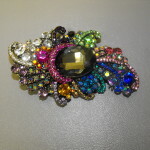 This piece measures about 4″ long and about 2″ from top to bottom. 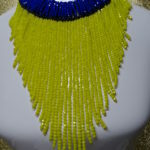 So…..wear it as a pin or a pendant…..either way it’s going to make a statement with lots of compliments….we guarantee it.